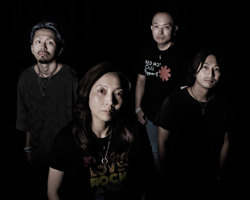 2001 : Formed by Miwa (From 5X) and H.Takayama. The band name was “Bad Trip”. 2009 : Bad Trip changed the name to LINX due to member change. 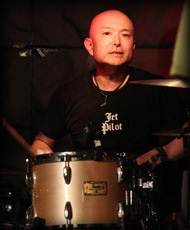 2010 : New drummer, You.Sawaki（ex.THE POWERNUDE） joined officially. 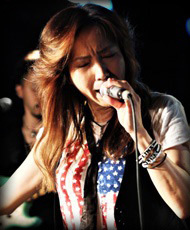 2011 : New bassist, Aki（ex.REVOLT） joined officially. 2011 : Released 1st Single “Lean On You”. 2012 : Released 2nd Single “Voice”. 2013 : Relased 3rd Single “Shining Star”. 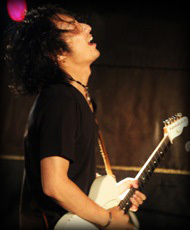 2013 : H.Takayama left LINX. 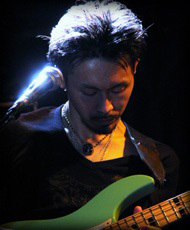 2013 : New guitarist, ZIN（From THE POWERNUDE） joined officially. 2014 : Released 4th Single “Guardian Angel”. 2016 : Released 1st Mini Album “Shake It Now”. 2016 : Released 1st official music video“Shake It Now”on YouTube. 2018 : Released 2nd official music video“Take Me Far Away”on YouTube. Copyright(C) 2011-2019　LINX All Right Reserved.